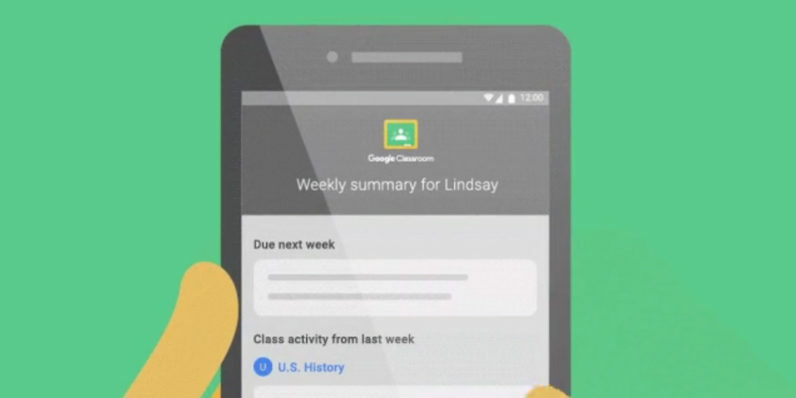 Google is letting parents snoop on their kids’ school work with a new feature for Google Classroom. When a teacher invites a parent to Classroom, they can see daily and weekly summaries of what their child has accomplished, and view any class announcements. Now parents won’t be taken by surprise when it comes time to have that annual parent-teacher conference. The Classroom app is also allowing annotations, making lessons more interactive and (probably) fun. Google likens it to a portable whiteboard, and notes it’s useful for those times a student may be out of the classroom. Similarly, teachers can annotate homework with notes and examples rather than static text. Rounding it all out, Google is adding new experiences to its Expeditions app which allows kids to go on a digital field trip of sorts. Rather than just places on a map, experiences like a journey through the human vascular system are now available — which sounds gross, but is probably more memorable than pictures in a textbook.